This tool should be used to determine your Monthly Premium Contribution. Are you enrolled in Medicare Part B? Select a Medical Plan. Note: Kaiser Plan includes Medical & Prescription Drug. Are you enrolled in Medicare Part D? Select your Employer's Contribution Percentage. Refer to the Employer Contribution Table to determine the percentage. 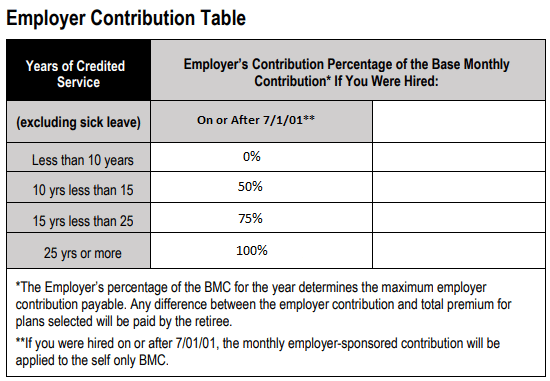 The Employer Contribution Amount is the LESSER of the Employer's Contribution Percentage BMC and the Total Self Amount. This estimate calculation is not to be construed in any way as a promise or contract with the EUTF for the EUTF to offer health insurance plans at the premium amount calculated, or any other amount. All final health insurance benefits shall be determined by the EUTF in accordance with the laws in effect at the time such health insurance benefits are offered.